Libyan authorities arrested a suspected al Qaeda leader who fled from Derna, once a jihadist bastion, a source in the attorney general’s office said. Abdel Qader Azuz was arrested in Misrata and brought to Tripoli, the source said. No other details were immediately available. 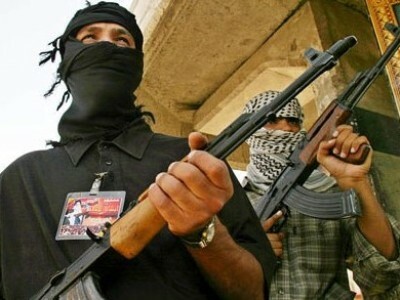 Azuz was one of the top militants in Derna, according to Libyan officials. The city has been long a hotspot for Islamist militants. Many fled Libya to escape persecution by Muammar Gaddafi and to fight in Afghanistan, then returned home after the dictator was toppled in 2011. Eastern military forces allied to Khalifa Haftar, which control eastern Libya, seized much of Derna in an ongoing military campaign officials say is almost over. It was not clear whether Libyan authorities were assisted by the United States, which snatched militants from Libya or given assistance to local authorities on a number of occasions. The arrest came after US charge d’affaires for Libya, Peter Bodde, based in Tunis, visited Misrata.